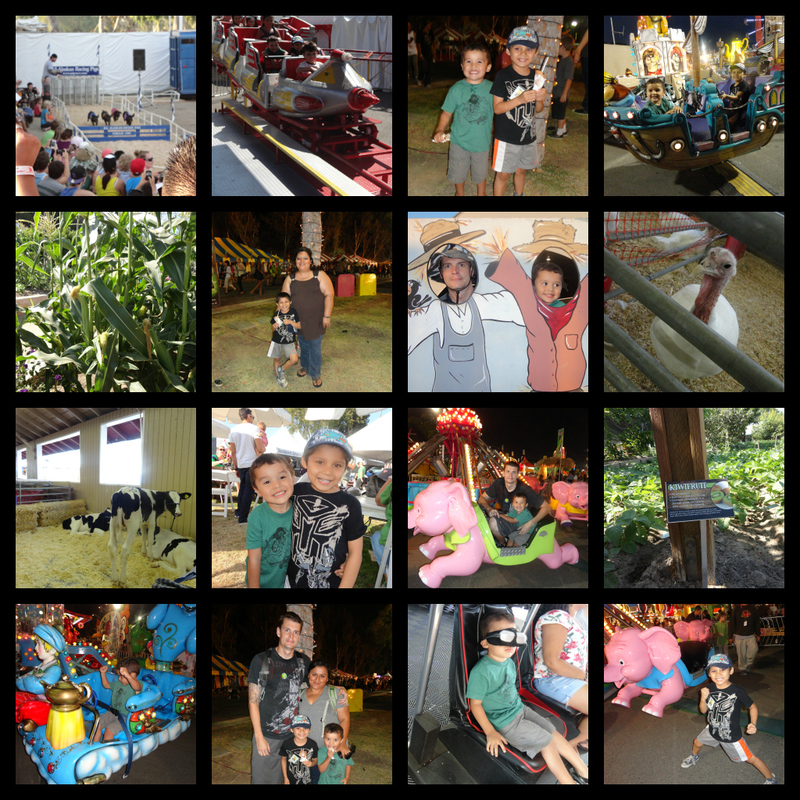 Its become sort of a tradition to head over to the Orange County Fair every summer to enjoy a hot sweaty day filled with horrible-for-you-but-really-yummy foods, animals at the petting zoo, and carnival rides. 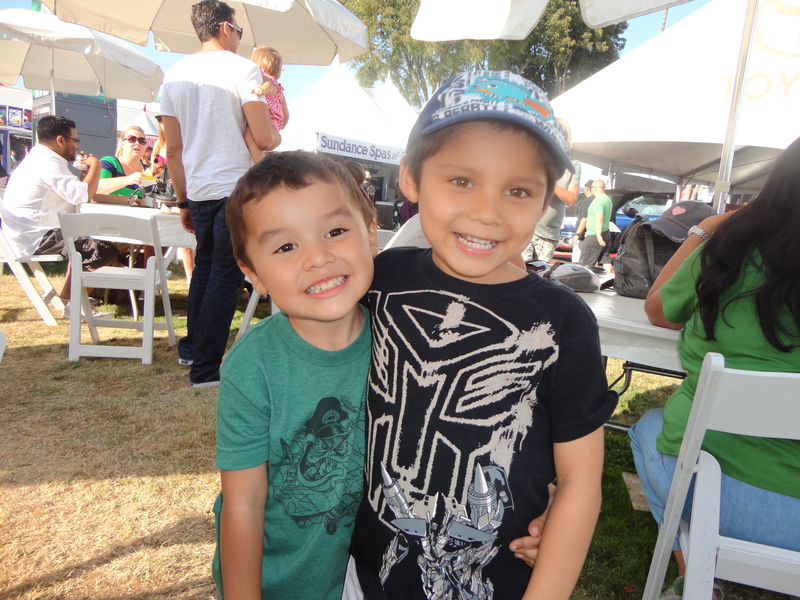 This year we popped over to the OC Fairgrounds with Auntie Gaby and Jason and had so much fun! When it was time for lunch, Tuggy asked for a corn dog. 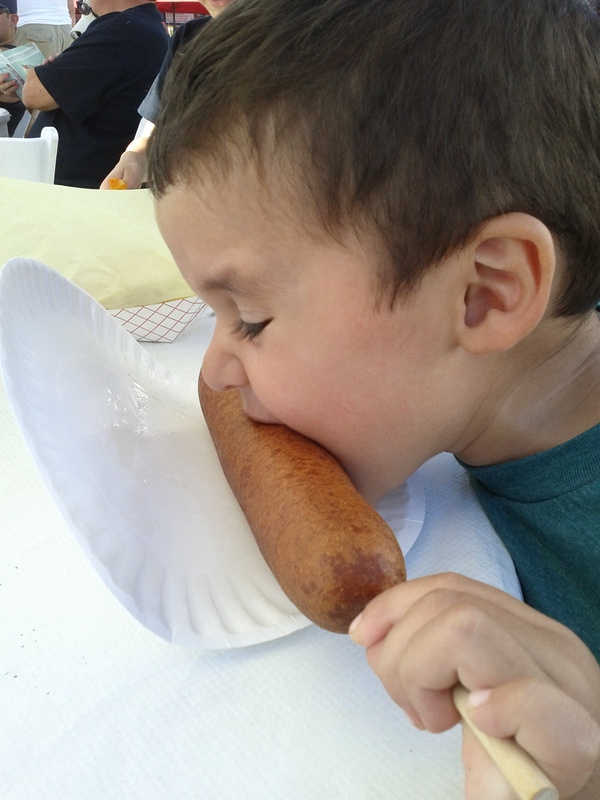 No shortage of corn dogs here — this one was a “small corndog” that looked about 12 inches long. It was heavy! 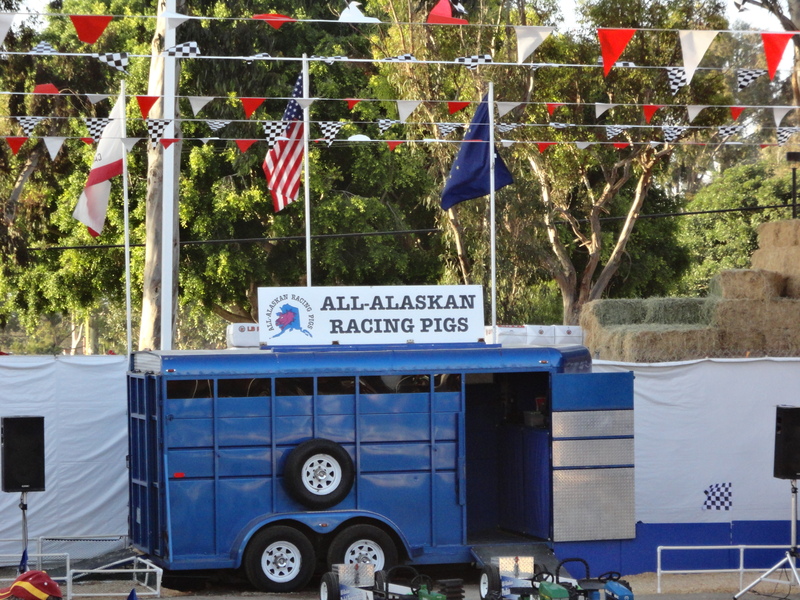 My favorite part of the fair is the Alaskan Pig Races. They are so cute, running around the track, and its fun to cheer on your pick! The cousins had so much fun together!